Combining the techniques of light painting and photo stitching, photographer Samantha Potter transformes ordanary still life into complex photographs yielding radiant colors, and intricate detail. 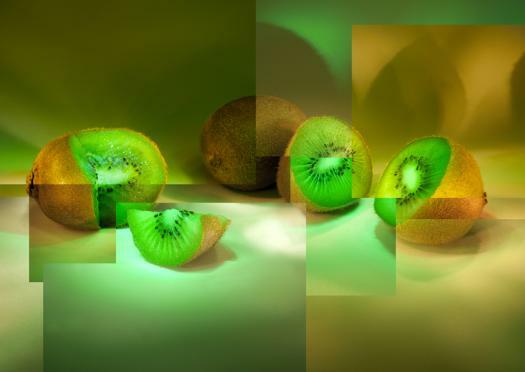 The photograph is of three kiwi on a white background. This photograph combines the techniques of light painting and photo stitching. It is essentially a collage of muliple images, each of which was exposed using light painting, and then put together during post production.